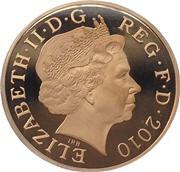 This 2003 coin celebrated the 100th Anniversary of the formation of the Women’s Social and Political Union. 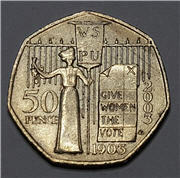 The coin depicst a figure of a suffragette chained to railings and holding a banner showing the letters "WSPU" (Women's Social and Political Union), to the right a ballot paper marked with a cross and the words "GIVE WOMEN THE VOTE". The reverse was designed by Mary Milner Dickens. 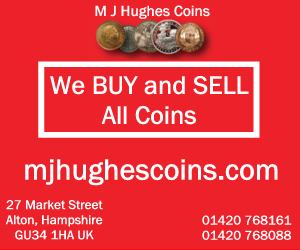 Mintage: 3,124,030 (may include coins issued as part of a set). Minted at The Royal Mint.